Properties located on Pacific Avenue in San Francisco enjoy a reputation of class and prestige equivalent to properties on the Monopoly avenue that shares its name. The building standing at 2400 Pacific Avenue exemplifies this grand reputation. The building is situated at the corner of Pacific Avenue and Fillmore Street, near quaint stores and boutiques and among old-fashioned Victorian homes built at the turn of the century. 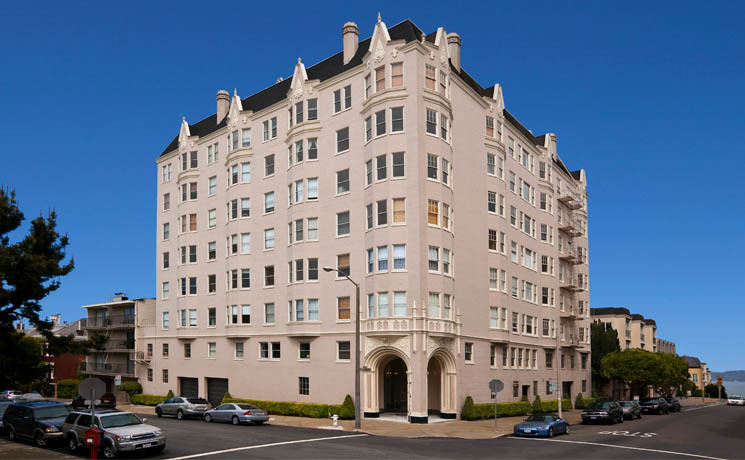 The stately interior of this eight-story architectural beauty offers spacious multi-bedroom apartment units with breath-taking views of the Golden Gate Bridge, the San Francisco Bay, and Alcatraz. The lobby is adorned with ornate moldings that complement the original marble floors that anchor the spectacular entryway. The property is pristinely maintained. 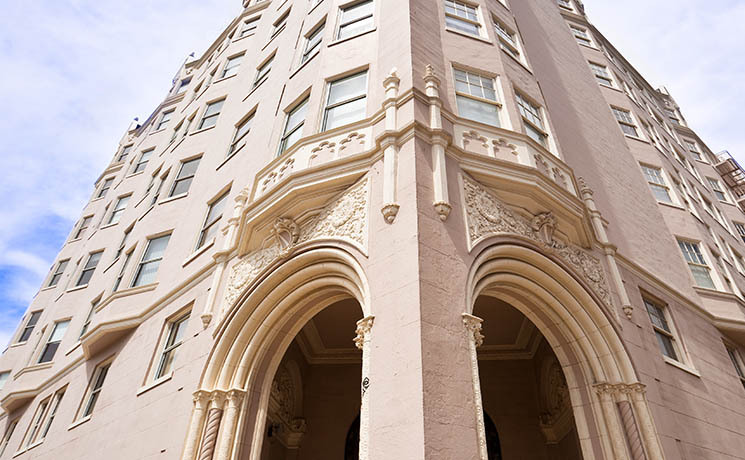 The building was recently renovated in a manner to preserve its historic elegance while providing up-to-date amenities in many of the units. Renovations include: remodeled kitchens and bathrooms, refinished hardwood floors, and freshly painted interiors. The 2400 Pacific Avenue Apartments is comprised of enormous studio, one and two bedroom apartment homes. For questions regarding available units at The 2400 Pacific Avenue Apartments, please contact the on-site manager, Aleta Cerdido, at the number below. Please note that unit viewings are by appointment only. 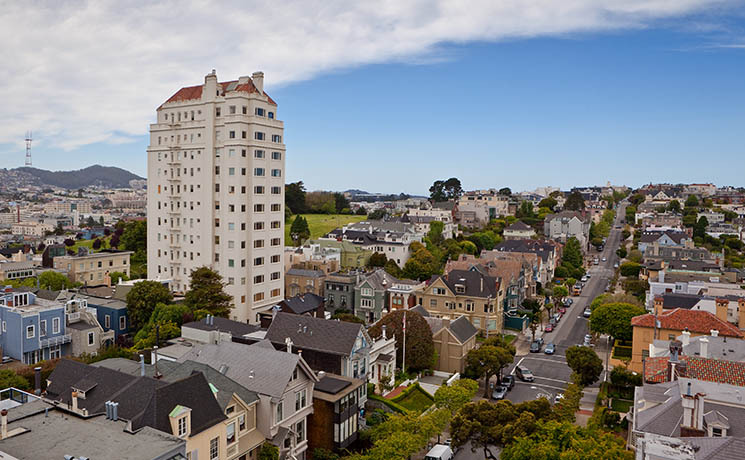 The 2400 Pacific Avenue Apartments is owned and managed by the 2400 Pacific Avenue, LLC.